Leaked images last month suggested Sling TV was preparing to launch its own set-top box that would combine free, over-the-air (OTA) channels with steaming apps like Netflix, Hulu and of course, Sling TV. At CES 2017, Dish has taken the wraps off the mystery box and christened it the AirTV Player. What sets the AirTV Player apart from the sea of other set-top boxes already on the market is the fact that it integrates an often overlooked piece of the cord cutting puzzle, OTA channels, directly into the streaming entertainment platform. 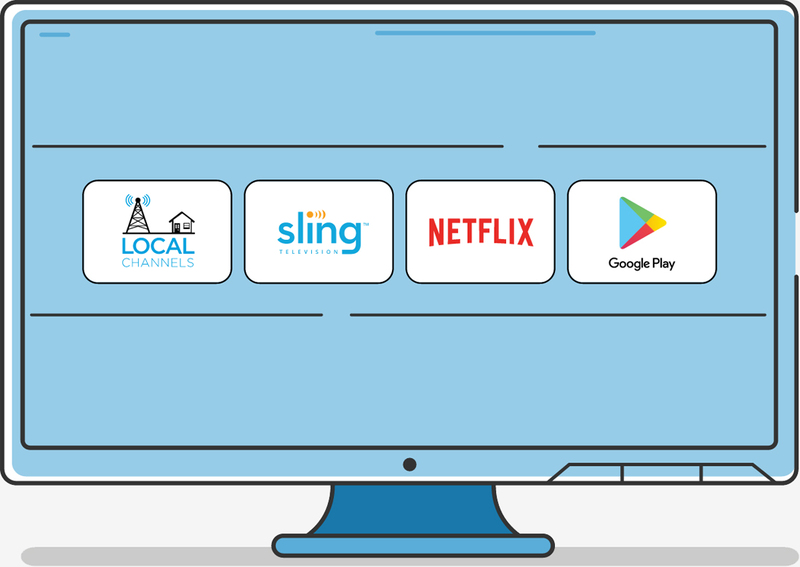 Simply put, it eliminates the need to switch inputs – from a set-top box with streaming apps to your TV’s coaxial input for OTA transmissions – by bringing OTA channels like ABC, CBS, FOX, PBS and NBC into the same UI as streaming apps. Aesthetically speaking, the AirTV Player and accompanying remote aren’t going to please everyone although its feature set could help sway some potential buyers. The box connects to dual-band Wi-Fi (2.4 GHz / 5 GHz) networks that use the 802.11 a/b/g/n/ac standard (or you can simply use an Ethernet cable), supports 4K playback and offers both a remote finder option and voice search. The remote also has dedicated buttons for Sling TV, Netflix and Google. It’s also among the first devices to be “Optimized for Sling TV” as per Sling’s new certification program. The AirTV Player is available as of writing priced at $99.99 although if you want to use it to capture OTA transmissions (which is the whole point of the device), you’ll also need to purchase the AirTV Adapter for $39.99 (or bundle the box and adapter together for $129.99) and supply your own antenna – an additional expense if you don’t already have one. The purchase of an AirTV Player includes a $50 Sling TV credit that effectively cuts the cost of the box in half. AirTV also offers a professional installation service in which a licensed technician will identify the best available indoor or outdoor antenna based on your location and take care of the installation (including the cost of the antenna) for $99.99 for an indoor antenna or $149.99 for an outdoor version. A quick check over on antennaweb.org will give you a good idea of what channels you can expect to pick up. We’ve reached out to AirTV for more information regarding the internal hardware of the AirTV Player and the potential for an OTA DVR and will update this story according when we hear back.